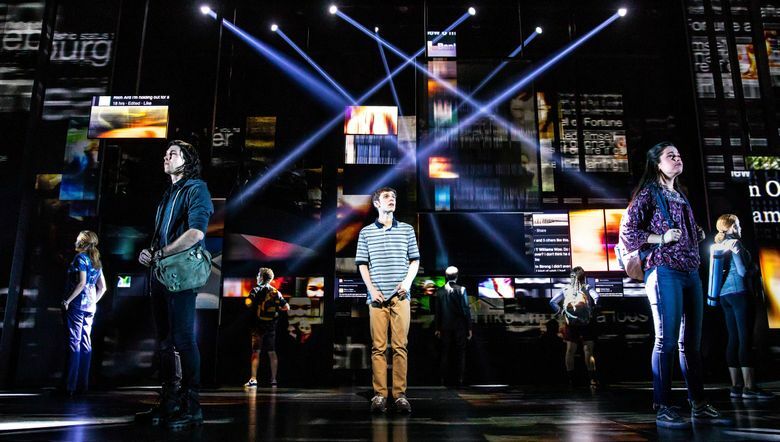 The acclaimed, Tony Award-winning musical "Dear Evan Hansen," set firmly in today's rapid-fire social-media age, comes to Seattle’s Paramount Theatre Jan. 23-Feb. 2. It all started with an incident at Benj Pasek’s suburban Philadelphia high school. It involved a fellow student who seemed to fade into the woodwork. But when he died of a drug overdose, this “almost anonymous” teen, according to Broadway and Hollywood tunesmith Pasek, became a kind of posthumous celebrity. Classmates who barely knew him claimed him as a close friend. Some even wrote essays about him and spoke about his importance in their lives. That display of grief fascinated Pasek and stuck in his mind. And more than a decade later, in searching conversations with his writing partner Justin Paul, it spurred another kind of phenomenon: the 2017 Tony Award-honored musical “Dear Evan Hansen,” which comes to Seattle’s Paramount Theatre Jan. 23-Feb. 2, on its first national tour. From “West Side Story” to “Spring Awakening” to “Next to Normal” and “American Idiot,” Broadway musicals about alienated, crazy-mixed-up youths have constituted a popular genre. But each of those shows is unique. And there is also something different and special about the acclaimed “Dear Evan Hansen,” which features a score by the highly successful songwriting team of Pasek and Paul, with an original book by playwright Steven Levenson, and which won six Tony Awards, including Best Musical. The musical duo’s flair for crafting entertaining, tunesome material is evident in their prior youth-geared stage musicals (e.g. “A Christmas Story,” which had a pre-Broadway run at Seattle’s 5th Avenue Theatre, and “James and the Giant Peach,” presented by Seattle Children’s Theatre). And among their movie songs, “City of Stars” for “La La Land” won them Oscar and Golden Globe awards for their lyrics to Justin Hurwitz’s music. 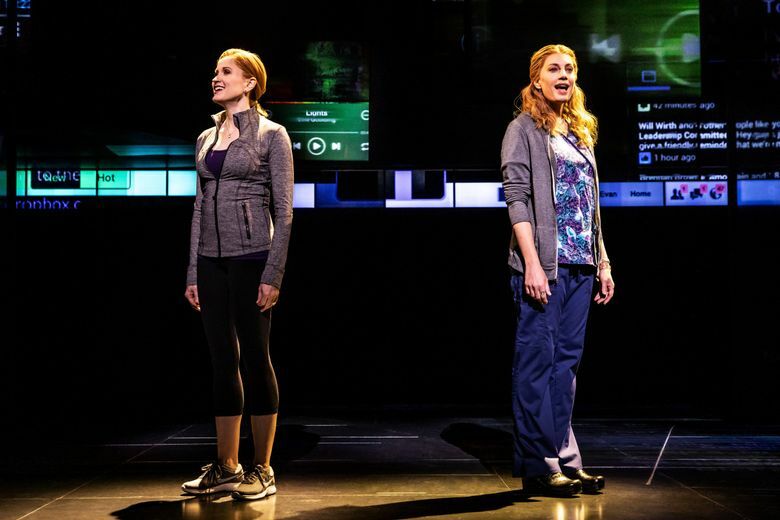 On Broadway and along its 60-city tour, “Dear Evan Hansen” has accumulated a passionate fan base of young theatergoers — along with some of their anxious parents. The production has generated a flood of heartfelt written responses, been reworked as a novel, inspired fan fiction and animated YouTube videos. And a movie version is in the works. The title character of a 17-year-old high-school senior (played on tour by Ben Levi Ross) is no broody anti-hero, nor glamorous rebel without a cause. The son of a hardworking divorced mom, Evan is so desperately, cripplingly shy he can’t even exchange a few words with a pizza delivery man, let alone make friends at school. Yet he somehow blossoms through someone else’s tragedy: the suicide of Connor, a fellow student and also a misfit. Through a compounded misunderstanding, Evan suddenly reinvents himself as a close former confidant of Connor — thereby gaining a girlfriend, the warm attention of adults, the admiration of his peers, and a brief spell of glory in the social-media sphere that allows him to perpetuate and expand on the lie. “In the state of Washington we lose two teens to suicide every week,” said Dipti Chrastka, the crisis services director of the Seattle-based mental-health agency Crisis Connections, which runs Teen Link, a peer-to-peer phone and text help line staffed by trained adolescent volunteers. Glossy fictional dramatizations run the risk of romanticizing suicide — a charge leveled by some mental-health professionals and educators against the controversial Netflix series “Thirteen Reasons Why.” Based on Jay Asher’s novel, it focuses on a teenage girl who, before killing herself, recorded cassettes describing all the reasons why she took her own life. 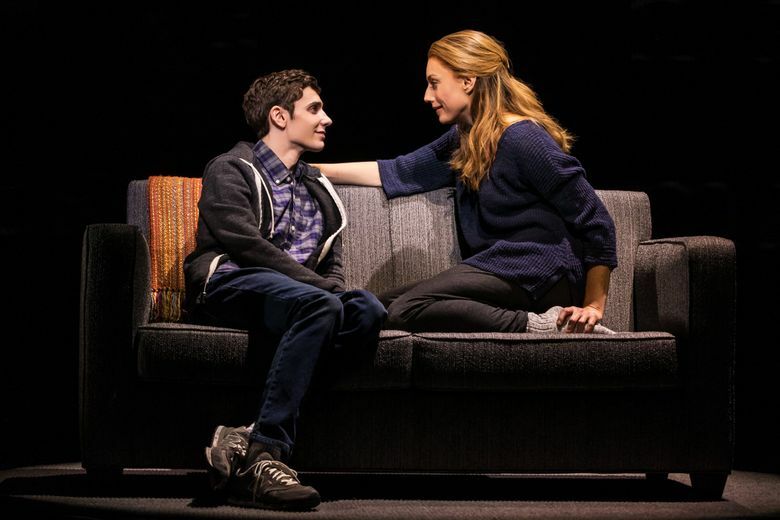 The artistic team behind “Dear Evan Hansen” consciously avoided glossing the issue, and “certainly mental illness, and particularly suicide, were never meant to be depicted as a solution to any problem in the show or these characters’ lives,” said Paul. Crisis Connections’ Teen Link is a peer-to-peer phone and text help line staffed by trained adolescent volunteers. The help line runs every evening 6-10 p.m. at 866-TEENLINK (866-833-6546); there’s also a Teen Link Chat (6-9:30 p.m.) at the agency’s website (866teenlink.org). Outside of those hours, an adult is available through the Washington Recovery Help Line (866-789-1511).